"In essentials, unity. In non-essentials, charity. In all things, Jesus Christ." We believe that man was created in the image of God but fell into sin and is, therefore, lost, and only through regeneration by the Holy Spirit can salvation and spiritual life be obtained. We believe that Jesus Christ is true God and true man, having been conceived of the Holy Spirit and born of the Virgin Mary. 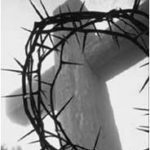 He died on the cross, a sacrifice for our sins according to the Scriptures. Further, He arose bodily from the dead, ascended into heaven, where at the right hand of the Majesty on High, He is now our High Priest and Advocate. We believe that the shed blood of Jesus Christ and His Resurrection provide the only ground for justification and salvation for all who believe, and only such as receive Jesus Christ are born of the Holy Spirit and, thus become children of God. We believe that the ministry of the Holy Spirit is to glorify the Lord Jesus Christ and, during this age, to convict men, regenerate the believing sinner, and indwell, guide, instruct and empower the believer for godly living and service. We believe that the true Church is composed of all such persons who through saving faith in Jesus Christ have been regenerated by the Holy Spirit and are united together in the Body of Christ of which He is the Head. Only members of the true Church shall be eligible for membership in the local church. The Lord Jesus mandated two ordinances, baptism and the Lord’s Supper, which visibly and tangibly express the gospel. Though they are not the means of salvation, when celebrated by the church in genuine faith, these ordinances confirm and nourish the believer. We believe God commands us to love Him supremely and others sacrificially, and to live out our faith with care for one another, compassion toward the poor and justice for the oppressed. With God’s Word, the Spirit’s power, and fervent prayer in Christ’s name, we are to combat the spiritual forces of evil. In obedience to Christ’s commission, we are to make disciples among all people, always bearing witness to the gospel in word and deed. We believe In the personal and premillennial and imminent coming of our Lord Jesus Christ at a time known only to Him. This "Blessed Hope" demands constant expectancy and motivates the believer to godly living, sacrificial service, energetic mission. One great heritage of the Evangelical Free Church is that fellowship and ministry opportunities in the local church are based solely on one's personal faith in Jesus Christ as Savior and Lord, trusting in Him alone for salvation. Membership requires commitment to sound doctrine as expressed in our Statement of Faith. However, a person is not excluded from membership because they do not agree on every fine point of doctrine. The EFCA allows for legitimate differences of understanding in some areas of doctrine. The Evangelical Free Church was born out of a heritage of commitment to the authority and inerrancy of Scripture. We have convictions based on the authority of God's Word, but we do not draw battle lines over minor points. Nor do we make minor issues a test of fellowship in the local church. We believe in separated living and personal holiness, but we are not separatistic. We believe in the spiritual unity of the church, though not necessarily in structural union. We join with other Christians and denominations of like precious faith in common goals and ministries to accomplish the Great Commandment and the Commission. But we believe there is strength in diversity and that it is important to preserve our Distinctives. We recognize that union in structure does not guarantee unity of spirit. Our first concern is unity of spirit with our Lord, each other, and other Christians. We believe in Christian liberty, but freedom always has limitations. Responsible Christians do not abuse freedom. The Apostle Paul wrote forcefully about Christian liberty in Galatians. He shattered the legalists with the doctrine of grace. But in I and II Corinthians and Romans, the apostle also rebuked believers when liberty was abused. He declared boldly the principles of Christian liberty but spoke with equal forcefulness about Christian accountability. The Evangelical Free Church desires to preserve our freedom in Christ and encourage our people to be responsible, godly men, women and young people who desire to live under the control of the Holy Spirit, in obedience to the principles and precepts of God's Word and in harmony with God's will for life as revealed in the Scriptures. The Evangelical Free Church of America affirms the right of each local church to govern its own affairs. The Evangelical Free Church is committed to a congregational form of government as stated in Article 10 of our Confession of Faith: "We believe that Jesus Christ is Lord and Head of the Church and that every local church has the right, under Christ, to decide and govern its own affairs." Strong pastoral leadership coupled with discerning and well-equipped Christian lay people can produce spiritual growth as well as significant church growth. The New Testament emphasizes the importance of the Body of Christ ministering through the spiritual gifts that have been given to each believer. "Congregational in government" means that each local church governs its own affairs. Within the local church, the highest human authority rests in the congregation. 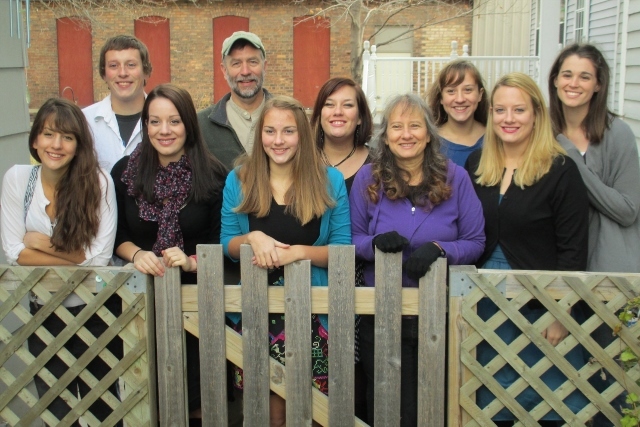 Grace Bible Fellowship began in the early 1990’s when three Ashland families felt God’s leading to start a new church. They held Home Bible studies and the group began to grow in numbers. They started meeting at the Barksdale Town Hall with Kevin Haworth of Superior, WI as their first pastor. Kevin and Shirley Haworth were missionary candidates with the Christian and Missionary Alliance and appreciated the pastoral experience before going overseas in 1995. The group adopted the name "Grace Bible Fellowship" and purchased a parsonage in Ashland at 313 12th Ave. W.
Grace called Pastor Sheldon Lorenson in the fall of 1995. He had served churches in Minnesota, Trinidad-West Indies, and Johannesburg, South Africa. On May 19, 1996 the church voted to join the Evangelical Free Church of America. In October, 1996 the group began meeting in the Ashland CESA #12 building. In 1998, the congregation established a building fund, sold their parsonage, and purchased 14 acres of land two miles south of Washburn on Highway 13. On Easter Sunday morning, April 4, 1999 Grace Bible Fellowship held its first meeting in their new church building. Church members did much of the building work. In December 2007, Pastor Lorenson left to plant a church in Osceola, Iowa and Dr. Ron Bergman served as interim from January to September 2008. On October 1, 2008 Pastor Keith Vik moved from Northwest Iowa to begin his work at the church. 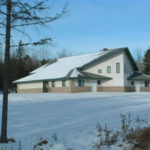 Grace Bible Fellowship consists of people from Ashland, Washburn ,Bayfield, Cornucopia, Herbster, Iron River, and Mason. The church currently supports missionary work in Southern Africa, China, Spain, Alaska, Bosnia, and Honduras. Grace Bible Fellowship desires to be recognized for sound Bible teaching, commitment to the complete authority of Scripture, evangelistic concern, warm fellowship, emphasis on holy living, and acceptance of Christian people from many walks of life. Grew up in Iowa, became a Christian in high school, and grew spiritually during his time in the Marines. In 1984 he graduated from Western Bible College in the Denver area and married his wife Angie. He taught high school Bible at Colorado Springs Christian School for two years. Keith graduated in 1991 from Western Theological Seminary in Portland, Oregon, moved back to Denver for four years. In 1995 he returned to Iowa and pastored two churches. He has one son and six daughters. In 2008, God led him to GBF where he enjoys seeing God work in people's lives. Grace Bible Fellowship is a co-operative member of the B.R.I.C.K ministry which provides practical and/or financial help for those with urgent needs. Donations have dropped substantially. Please consider donating non-perishable food items to help stock our shelves OR make a cash donation so we can purchase needed items to fill in where needed. 2. Help spread the word that our food shelf is open on Thursdays from 9 am to 7 pm. For more information on The BRICK and how you can become involved call Lori or Kathy at 682-7425.